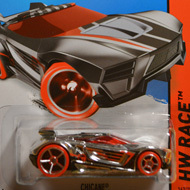 101/250 is part of the HW Off-Road series and the 2015 Treasure Hunt set. The orange Jeep boasts black & white graphics on the sides and hood. 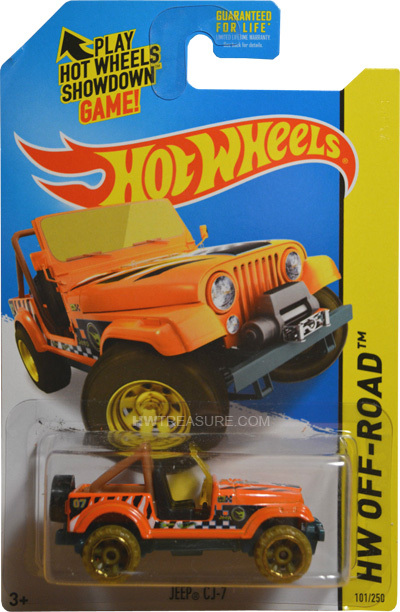 The sides also have “Jeep”, the Hot Wheels logo, “07”, and the low production symbol. It has a yellow-tinted windshield, black interior, yellow Off Road 6-spoke wheels, and a black plastic Malaysia base. 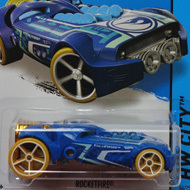 This vehicle can be found in mix “B” of 2015 Hot Wheels mainline cases. The Jeep made its debut in 1982 and has been released as the Jeep CJ-7 and the Roll Patrol Jeep CJ. It was re-tooled in 1991, but the casting is almost identical to the original. The new version has been released as the Trailbuster and the Roll Patrol.